So one has to do it. If he does not do it for God, then he will have to do it ultimately to the dog. So better, so long you have got money, spend it for God. San-nimitte varaṁ tyāgo vināśe niyate sati (Cāṇakya-śloka 36). This is the instruction of Cāṇakya Paṇḍita, that whatever money you have got, it will be spent. You cannot keep it. Either the money will go from you, or you have to go from the money. You cannot keep together. That is not possible. If you don't spend the money for Kṛṣṇa, if you keep it, that 'I shall see it. I shall lick up this money and be happy...' Kṛpaṇa, that those who are miser, they do not spend money for Kṛṣṇa but they see the money. Therefore it has become a problem for us, how to spend the money. 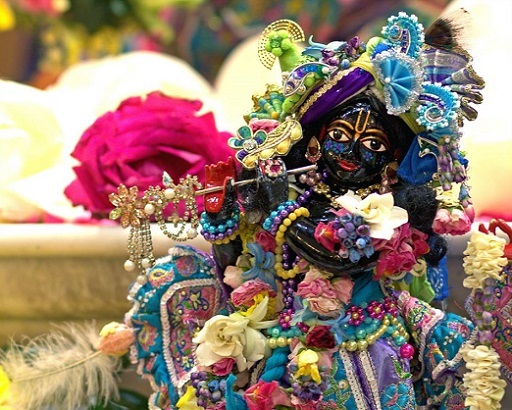 How to spend the money for Kṛṣṇa, that is our policy. We do not want to keep money. We cannot keep; that is not possible. Somebody will take it. Ultimately the government will take away. Better spend it for Kṛṣṇa. Spend it for Kṛṣṇa; that is the right use. San-nimitte varaṁ tyāgo vināśe niya... Cāṇakya Paṇḍita, he was great politician, he is advising that if you have got money, spend it for Kṛṣṇa. Don't keep it. Spend it for Kṛṣṇa. Why? It will be spoiled. Today or tomorrow it will be spoiled. Somebody will take and spoil it. Better if you spend it for Kṛṣṇa; at least your service will be recognized. Kṛṣṇa will see that 'This man is spending his hard-earned money for Me.' "